Earn $44.26 in VIP credit (4426 points)What's This? 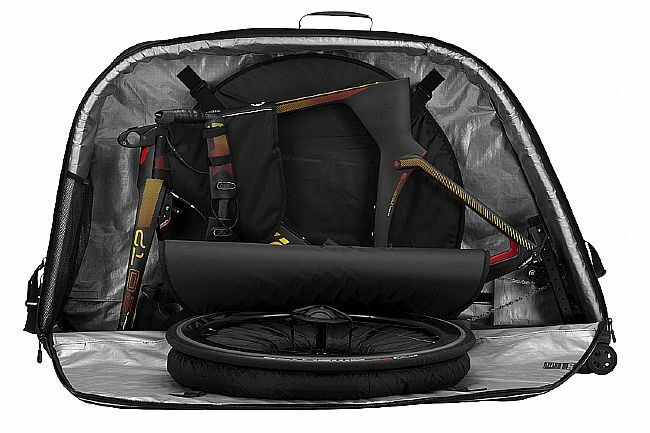 The ultimate travel solution for bikes with longer wheelbases, the Biknd Jetpack XL V2’s integrated aluminium support bar and innovative inflatable nylon airbag wall-system flanks those precious longer, lower, and slacker-sized cargo providing ultimate protection without the need to buy any extra parts or adaptors. 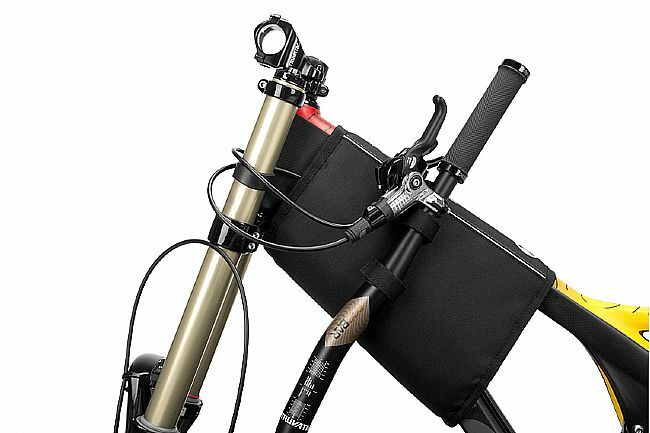 New axle sizes of 15 x 110, 12 x 157 and 12 x 148mm are now available, and the Jetpack V2 XL is 10cm longer than its standard version kin, allowing for storage of a bike with the derailleur still attached (up to 1310mm). 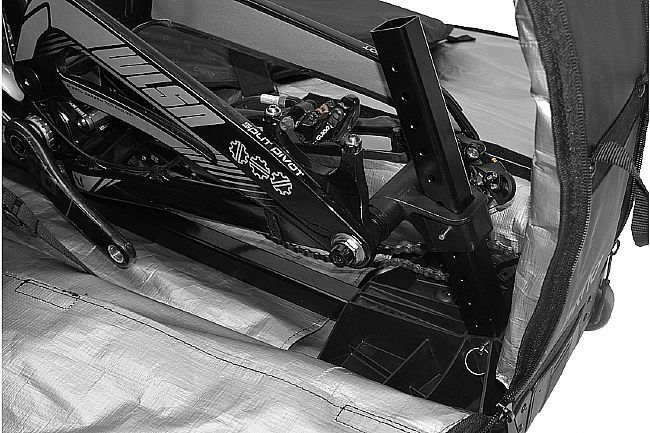 Rugged roller wheels and an easy gripping handle improve convenience and portability, while the bag’s lightweight build complies with luggage weight restrictions across myriad airlines. 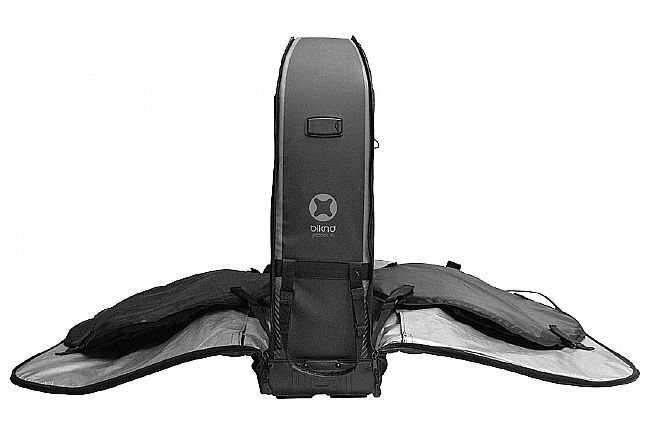 Ready to fly, the Jetpack XL V2 is authorized by the TSA. 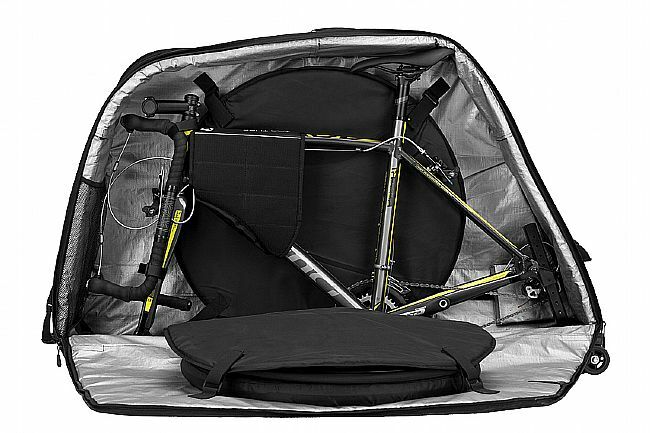 Folds easily for convenient storage. 360º opening for easy loading and unloading. 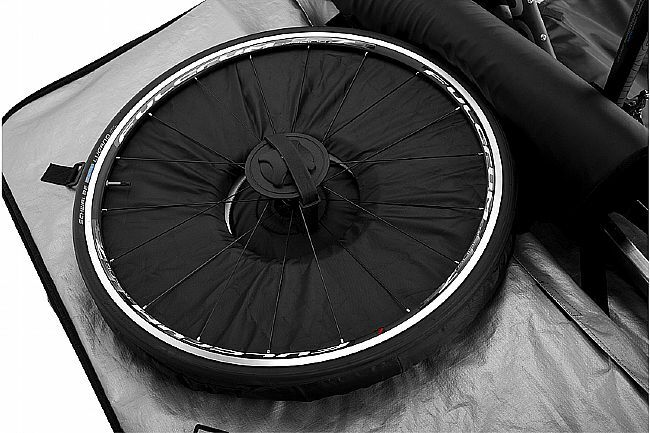 Robust combination of air, plastic, and foam protection. 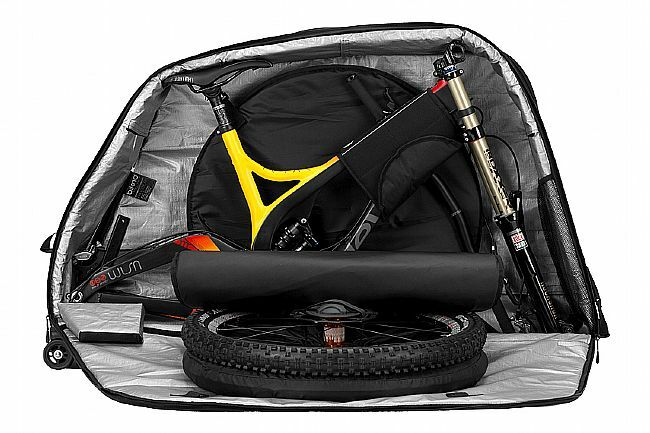 Designed for lower, longer, slacker bikes with longer wheelbases. 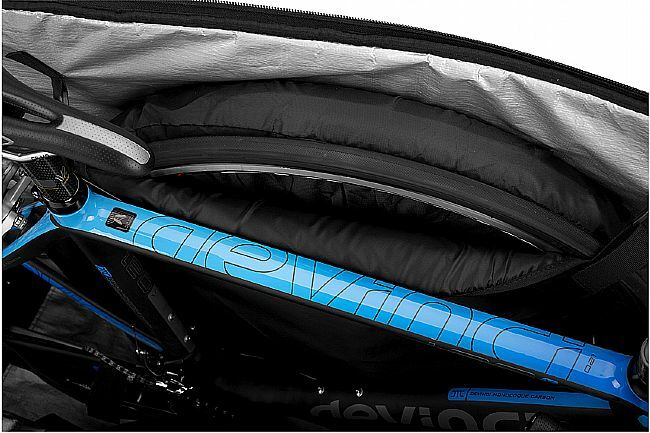 Compatible with road, TT/Triathlon, and mountain bikes. Exterior dimensions: 144 x 35 x 80 cm. Folded dimensions: 144 x 35 x 32 cm. 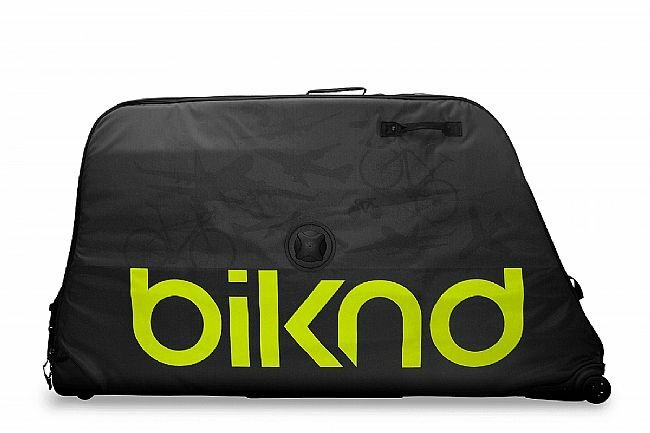 Weight: 24.25 lbs (including metal frame). Maximum wheelbase: 1,350 mm / 53 inches.